CRAZY COOL GROOVY!!! 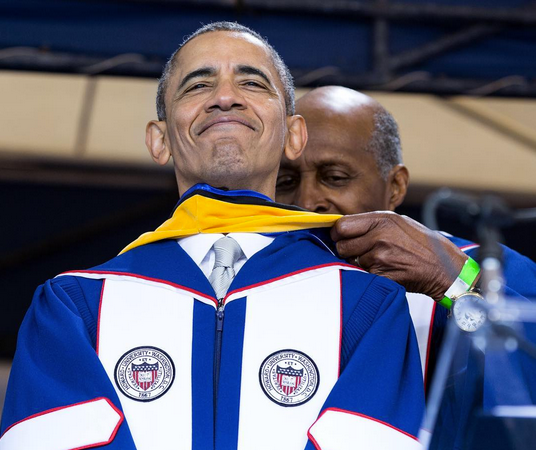 : President BARACK OBAMA DELIVERS 2016 HOWARD UNIVERSITY COMMENCEMENT ADDRESS!!! 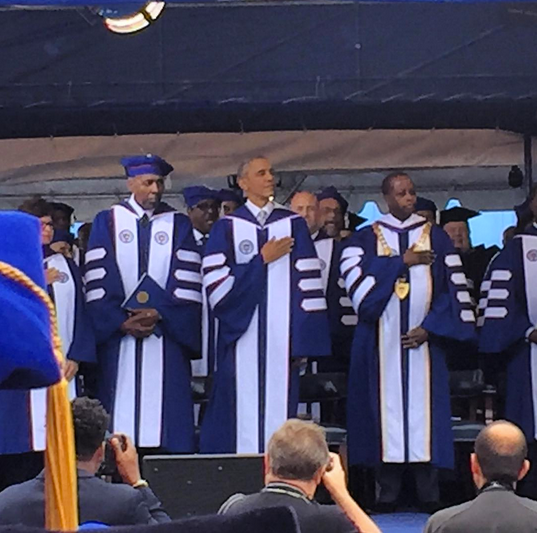 President BARACK OBAMA DELIVERS 2016 HOWARD UNIVERSITY COMMENCEMENT ADDRESS!!! Earlier today in WASHINGTON, D.C., President BARACK OBAMA delivered the 2016 HOWARD UNIVERSITY COMMENCEMENT ADDRESS!!! 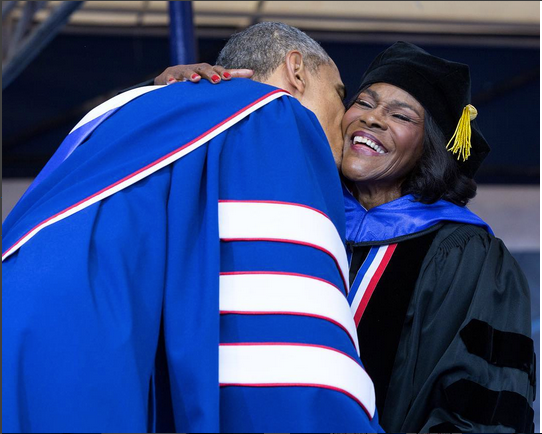 During the ceremony, POTUS #44 received an Honorary DOCTOR Of ARTS And SCIENCES degree, and he conferred an Honorary DOCTOR Of LETTERS upon 91-year-old Actress CICELY TYSON. Read the full text of his remarks AND watch the video. HE PRESIDENT: Thank you! Hello, Howard! (Applause.) H-U! But you got here. And you've all worked hard to reach this day. You’ve shuttled between challenging classes and Greek life. You've led clubs, played an instrument or a sport. You volunteered, you interned. You held down one, two, maybe three jobs. You've made lifelong friends and discovered exactly what you’re made of. The “Howard Hustle” has strengthened your sense of purpose and ambition. Which means you're part of a long line of Howard graduates. Some are on this stage today. Some are in the audience. 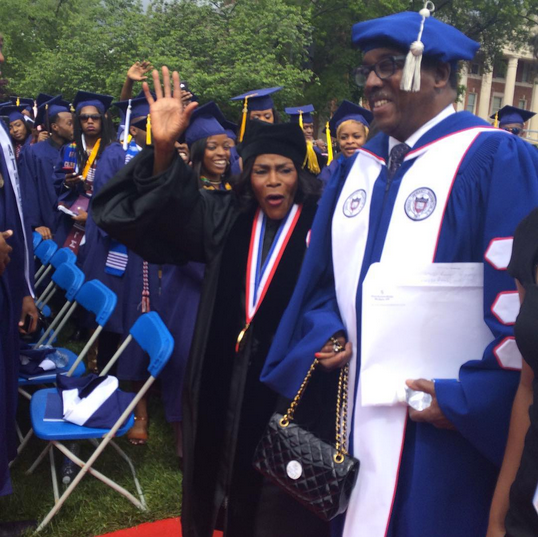 That spirit of achievement and special responsibility has defined this campus ever since the Freedman’s Bureau established Howard just four years after the Emancipation Proclamation; just two years after the Civil War came to an end. They created this university with a vision -- a vision of uplift; a vision for an America where our fates would be determined not by our race, gender, religion or creed, but where we would be free -- in every sense -- to pursue our individual and collective dreams. It is that spirit that's made Howard a centerpiece of African-American intellectual life and a central part of our larger American story. This institution has been the home of many firsts: The first black Nobel Peace Prize winner. The first black Supreme Court justice. But its mission has been to ensure those firsts were not the last. Countless scholars, professionals, artists, and leaders from every field received their training here. The generations of men and women who walked through this yard helped reform our government, cure disease, grow a black middle class, advance civil rights, shape our culture. The seeds of change -- for all Americans -- were sown here. And that’s what I want to talk about today. But seeing all of you here gives me some perspective. It makes me reflect on the changes that I’ve seen over my own lifetime. So let me begin with what may sound like a controversial statement -- a hot take. Given the current state of our political rhetoric and debate, let me say something that may be controversial, and that is this: America is a better place today than it was when I graduated from college. (Applause.) Let me repeat: America is by almost every measure better than it was when I graduated from college. It also happens to be better off than when I took office -- (laughter) -- but that's a longer story. 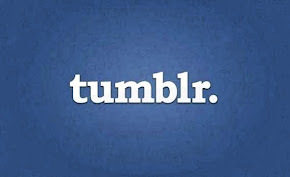 (Applause.) That's a different discussion for another speech. But think about it. I graduated in 1983. New York City, America’s largest city, where I lived at the time, had endured a decade marked by crime and deterioration and near bankruptcy. And many cities were in similar shape. Our nation had gone through years of economic stagnation, the stranglehold of foreign oil, a recession where unemployment nearly scraped 11 percent. The auto industry was getting its clock cleaned by foreign competition. And don’t even get me started on the clothes and the hairstyles. I've tried to eliminate all photos of me from this period. I thought I looked good. (Laughter.) I was wrong. Since that year -- since the year I graduated -- the poverty rate is down. Americans with college degrees, that rate is up. Crime rates are down. America’s cities have undergone a renaissance. There are more women in the workforce. They’re earning more money. We’ve cut teen pregnancy in half. We've slashed the African American dropout rate by almost 60 percent, and all of you have a computer in your pocket that gives you the world at the touch of a button. In 1983, I was part of fewer than 10 percent of African Americans who graduated with a bachelor’s degree. Today, you’re part of the more than 20 percent who will. And more than half of blacks say we’re better off than our parents were at our age -- and that our kids will be better off, too. America is better. The world is better. And stay with me now -- race relations are better since I graduated. That’s the truth. No, my election did not create a post-racial society. I don’t know who was propagating that notion. That was not mine. But the election itself -- and the subsequent one -- because the first one, folks might have made a mistake. (Laughter.) The second one, they knew what they were getting. The election itself was just one indicator of how attitudes had changed. Around the world, we’ve still got challenges to solve that threaten everybody in the 21st century -- old scourges like disease and conflict, but also new challenges, from terrorism and climate change. So make no mistake, Class of 2016 -- you’ve got plenty of work to do. But as complicated and sometimes intractable as these challenges may seem, the truth is that your generation is better positioned than any before you to meet those challenges, to flip the script. Now, how you do that, how you meet these challenges, how you bring about change will ultimately be up to you. My generation, like all generations, is too confined by our own experience, too invested in our own biases, too stuck in our ways to provide much of the new thinking that will be required. But us old-heads have learned a few things that might be useful in your journey. So with the rest of my time, I’d like to offer some suggestions for how young leaders like you can fulfill your destiny and shape our collective future -- bend it in the direction of justice and equality and freedom. First of all -- and this should not be a problem for this group -- be confident in your heritage. (Applause.) Be confident in your blackness. One of the great changes that’s occurred in our country since I was your age is the realization there's no one way to be black. 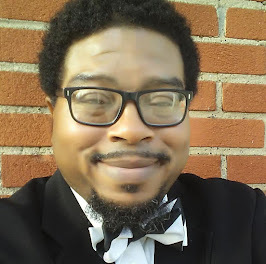 Take it from somebody who’s seen both sides of debate about whether I'm black enough. (Laughter.) In the past couple months, I’ve had lunch with the Queen of England and hosted Kendrick Lamar in the Oval Office. 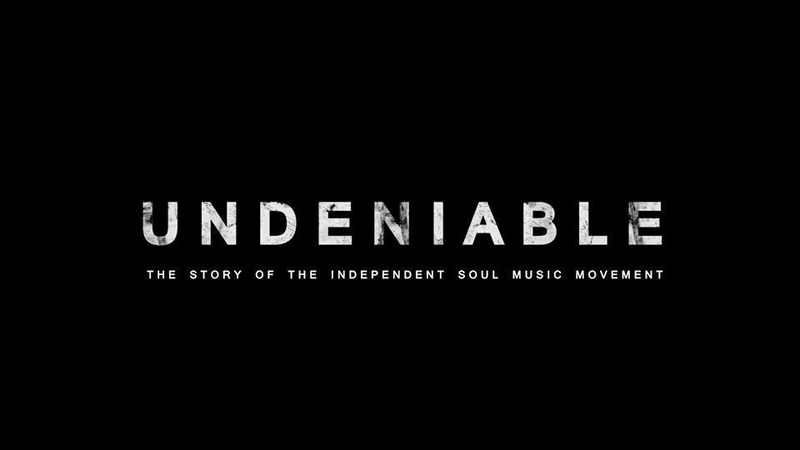 There’s no straitjacket, there's no constraints, there's no litmus test for authenticity. And because of those who've come before you, you have models to follow. You can work for a company, or start your own. You can go into politics, or run an organization that holds politicians accountable. You can write a book that wins the National Book Award, or you can write the new run of “Black Panther.” Or, like one of your alumni, Ta-Nehisi Coates, you can go ahead and just do both. You can create your own style, set your own standard of beauty, embrace your own sexuality. Think about an icon we just lost -- Prince. He blew up categories. People didn’t know what Prince was doing. (Laughter.) And folks loved him for it. You need to have the same confidence. Or as my daughters tell me all the time, “You be you, Daddy.” (Laughter.) Sometimes Sasha puts a variation on it -- "You do you, Daddy." (Laughter.) And because you’re a black person doing whatever it is that you're doing, that makes it a black thing. Feel confident. Second, even as we each embrace our own beautiful, unique, and valid versions of our blackness, remember the tie that does bind us as African Americans -- and that is our particular awareness of injustice and unfairness and struggle. That means we cannot sleepwalk through life. We cannot be ignorant of history. (Applause.) We can’t meet the world with a sense of entitlement. We can’t walk by a homeless man without asking why a society as wealthy as ours allows that state of affairs to occur. We can’t just lock up a low-level dealer without asking why this boy, barely out of childhood, felt he had no other options. We have cousins and uncles and brothers and sisters who we remember were just as smart and just as talented as we were, but somehow got ground down by structures that are unfair and unjust. You see, change requires more than righteous anger. It requires a program, and it requires organizing. At the 1964 Democratic Convention, Fannie Lou Hamer -- all five-feet-four-inches tall -- gave a fiery speech on the national stage. But then she went back home to Mississippi and organized cotton pickers. And she didn't have the tools and technology where you can whip up a movement in minutes. She had to go door to door. And I’m so proud of the new guard of black civil rights leaders who understand this. It’s thanks in large part to the activism of young people like many of you, from Black Twitter to Black Lives Matter, that America’s eyes have been opened -- white, black, Democrat, Republican -- to the real problems, for example, in our criminal justice system. 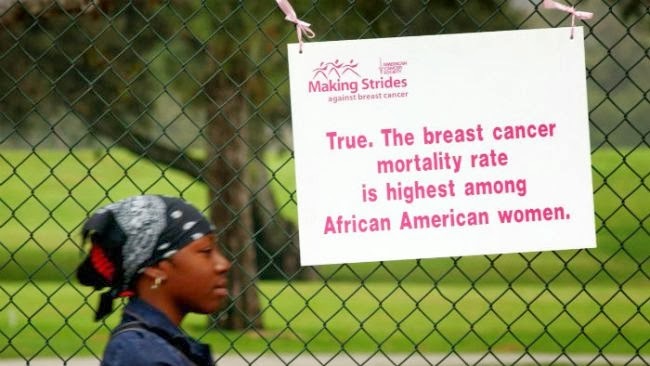 But to bring about structural change, lasting change, awareness is not enough. It requires changes in law, changes in custom. If you care about mass incarceration, let me ask you: How are you pressuring members of Congress to pass the criminal justice reform bill now pending before them? (Applause.) If you care about better policing, do you know who your district attorney is? Do you know who your state’s attorney general is? Do you know the difference? Do you know who appoints the police chief and who writes the police training manual? Find out who they are, what their responsibilities are. Mobilize the community, present them with a plan, work with them to bring about change, hold them accountable if they do not deliver. Passion is vital, but you've got to have a strategy. And your plan better include voting -- not just some of the time, but all the time. (Applause.) It is absolutely true that 50 years after the Voting Rights Act, there are still too many barriers in this country to vote. There are too many people trying to erect new barriers to voting. This is the only advanced democracy on Earth that goes out of its way to make it difficult for people to vote. And there's a reason for that. There's a legacy to that. But let me say this: Even if we dismantled every barrier to voting, that alone would not change the fact that America has some of the lowest voting rates in the free world. In 2014, only 36 percent of Americans turned out to vote in the midterms -- the secondlowest participation rate on record. Youth turnout -- that would be you -- was less than 20 percent. Less than 20 percent. Four out of five did not vote. In 2012, nearly two in three African Americans turned out. And then, in 2014, only two in five turned out. You don’t think that made a difference in terms of the Congress I've got to deal with? And then people are wondering, well, how come Obama hasn’t gotten this done? How come he didn’t get that done? You don’t think that made a difference? What would have happened if you had turned out at 50, 60, 70 percent, all across this country? People try to make this political thing really complicated. Like, what kind of reforms do we need? And how do we need to do that? You know what, just vote. It's math. If you have more votes than the other guy, you get to do what you want. (Laughter.) It's not that complicated. And you don’t have excuses. You don’t have to guess the number of jellybeans in a jar or bubbles on a bar of soap to register to vote. You don’t have to risk your life to cast a ballot. Other people already did that for you. (Applause.) Your grandparents, your great grandparents might be here today if they were working on it. What's your excuse? When we don’t vote, we give away our power, disenfranchise ourselves -- right when we need to use the power that we have; right when we need your power to stop others from taking away the vote and rights of those more vulnerable than you are -- the elderly and the poor, the formerly incarcerated trying to earn their second chance. So you got to vote all the time, not just when it’s cool, not just when it's time to elect a President, not just when you’re inspired. It's your duty. When it’s time to elect a member of Congress or a city councilman, or a school board member, or a sheriff. That’s how we change our politics -- by electing people at every level who are representative of and accountable to us. It is not that complicated. Don’t make it complicated. And finally, change requires more than just speaking out -- it requires listening, as well. In particular, it requires listening to those with whom you disagree, and being prepared to compromise. When I was a state senator, I helped pass Illinois’s first racial profiling law, and one of the first laws in the nation requiring the videotaping of confessions in capital cases. And we were successful because, early on, I engaged law enforcement. I didn’t say to them, oh, you guys are so racist, you need to do something. I understood, as many of you do, that the overwhelming majority of police officers are good, and honest, and courageous, and fair, and love the communities they serve. And we knew there were some bad apples, and that even the good cops with the best of intentions -- including, by the way, African American police officers -- might have unconscious biases, as we all do. So we engaged and we listened, and we kept working until we built consensus. And because we took the time to listen, we crafted legislation that was good for the police -- because it improved the trust and cooperation of the community -- and it was good for the communities, who were less likely to be treated unfairly. And I can say this unequivocally: Without at least the acceptance of the police organizations in Illinois, I could never have gotten those bills passed. Very simple. They would have blocked them. The point is, you need allies in a democracy. That's just the way it is. It can be frustrating and it can be slow. But history teaches us that the alternative to democracy is always worse. That's not just true in this country. It’s not a black or white thing. Go to any country where the give and take of democracy has been repealed by one-party rule, and I will show you a country that does not work. And democracy requires compromise, even when you are 100 percent right. This is hard to explain sometimes. You can be completely right, and you still are going to have to engage folks who disagree with you. If you think that the only way forward is to be as uncompromising as possible, you will feel good about yourself, you will enjoy a certain moral purity, but you’re not going to get what you want. And if you don’t get what you want long enough, you will eventually think the whole system is rigged. And that will lead to more cynicism, and less participation, and a downward spiral of more injustice and more anger and more despair. And that's never been the source of our progress. That's how we cheat ourselves of progress. We remember Dr. King’s soaring oratory, the power of his letter from a Birmingham jail, the marches he led. But he also sat down with President Johnson in the Oval Office to try and get a Civil Rights Act and a Voting Rights Act passed. And those two seminal bills were not perfect -- just like the Emancipation Proclamation was a war document as much as it was some clarion call for freedom. Those mileposts of our progress were not perfect. They did not make up for centuries of slavery or Jim Crow or eliminate racism or provide for 40 acres and a mule. But they made things better. And you know what, I will take better every time. I always tell my staff -- better is good, because you consolidate your gains and then you move on to the next fight from a stronger position. Brittany Packnett, a member of the Black Lives Matter movement and Campaign Zero, one of the Ferguson protest organizers, she joined our Task Force on 21st Century Policing. Some of her fellow activists questioned whether she should participate. She rolled up her sleeves and sat at the same table with big city police chiefs and prosecutors. And because she did, she ended up shaping many of the recommendations of that task force. And those recommendations are now being adopted across the country -- changes that many of the protesters called for. If young activists like Brittany had refused to participate out of some sense of ideological purity, then those great ideas would have just remained ideas. But she did participate. And that’s how change happens. America is big and it is boisterous and it is more diverse than ever. The president told me that we've got a significant Nepalese contingent here at Howard. I would not have guessed that. Right on. But it just tells you how interconnected we're becoming. And with so many folks from so many places, converging, we are not always going to agree with each other. Another Howard alum, Zora Neale Hurston, once said -- this is a good quote here: “Nothing that God ever made is the same thing to more than one person.” Think about that. That’s why our democracy gives us a process designed for us to settle our disputes with argument and ideas and votes instead of violence and simple majority rule. So don’t try to shut folks out, don’t try to shut them down, no matter how much you might disagree with them. There's been a trend around the country of trying to get colleges to disinvite speakers with a different point of view, or disrupt a politician’s rally. Don’t do that -- no matter how ridiculous or offensive you might find the things that come out of their mouths. Because as my grandmother used to tell me, every time a fool speaks, they are just advertising their own ignorance. Let them talk. Let them talk. If you don’t, you just make them a victim, and then they can avoid accountability. That doesn’t mean you shouldn’t challenge them. Have the confidence to challenge them, the confidence in the rightness of your position. There will be times when you shouldn’t compromise your core values, your integrity, and you will have the responsibility to speak up in the face of injustice. But listen. Engage. If the other side has a point, learn from them. If they’re wrong, rebut them. Teach them. Beat them on the battlefield of ideas. And you might as well start practicing now, because one thing I can guarantee you -- you will have to deal with ignorance, hatred, racism, foolishness, trifling folks. (Laughter.) I promise you, you will have to deal with all that at every stage of your life. That may not seem fair, but life has never been completely fair. Nobody promised you a crystal stair. And if you want to make life fair, then you've got to start with the world as it is. That’s what Thurgood Marshall understood -- a man who once walked this year, graduated from Howard Law; went home to Baltimore, started his own law practice. He and his mentor, Charles Hamilton Houston, rolled up their sleeves and they set out to overturn segregation. They worked through the NAACP. Filed dozens of lawsuits, fought dozens of cases. And after nearly 20 years of effort -- 20 years -- Thurgood Marshall ultimately succeeded in bringing his righteous cause before the Supreme Court, and securing the ruling in Brown v. Board of Education that separate could never be equal. (Applause.) Twenty years. Marshall, Houston -- they knew it would not be easy. They knew it would not be quick. They knew all sorts of obstacles would stand in their way. They knew that even if they won, that would just be the beginning of a longer march to equality. But they had discipline. They had persistence. They had faith -- and a sense of humor. And they made life better for all Americans. Graduates, each of us is only here because someone else faced down challenges for us. We are only who we are because someone else struggled and sacrificed for us. That's not just Thurgood Marshall’s story, or Ciearra’s story, or my story, or your story -- that is the story of America. A story whispered by slaves in the cotton fields, the song of marchers in Selma, the dream of a King in the shadow of Lincoln. The prayer of immigrants who set out for a new world. The roar of women demanding the vote. The rallying cry of workers who built America. And the GIs who bled overseas for our freedom. Now it’s your turn. And the good news is, you’re ready. And when your journey seems too hard, and when you run into a chorus of cynics who tell you that you’re being foolish to keep believing or that you can’t do something, or that you should just give up, or you should just settle -- you might say to yourself a little phrase that I’ve found handy these last eight years: Yes, we can. Congratulations, Class of 2016! (Applause.) Good luck! God bless you. God bless the United States of America. I'm proud of you. Labels: Barack Obama, CULTURE, EDUCATION, NEWS, POLITICS, Race Matters, Washington D.C.